This Aviva Health Insurance Company Review offers an overview of Aviva plc, a London, United Kingdom-headquartered global insurance company. Aviva plc ranks as the world’s sixth largest insurer. The company has about 53 million customers and operates in 28 country markets, according to the Aviva website. Aviva plc writes life insurance, pension/retirement products, and general insurance products in the UK, Europe, Asia, and North America. The company sells health and medical insurance to employer companies. Exploring your health insurance options just got easier. Take a moment to ask for free health insurance quotes by typing in your zip code. Compare your current health insurance rates today to save money tomorrow! The annuity division may be reached toll-free at +1-888-266-8489 Monday through Thursday from 8:00 a.m. to 5:00 p.m. Central Time, or Fridays from 8:00 a.m. to 3:00 p.m. Central Time. 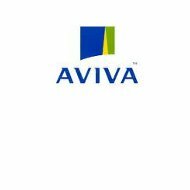 Aviva plc focuses on the sales and marketing of property & casualty insurance products, including homeowner, fire, and auto insurance policies to personal and commercial clients. The company offers a variety of insurance brands. The company can trace its original roots back to the Hand in Hand Fire Insurance Society founded in 1696. The present company emerged from the merging of CGU plc and Norwich Union Insurance. The company seeks to consolidate its health insurance brands in the future. For example, UK brand Norwich Union was changed to Aviva UK in 2009. Insurance brands in Poland and Ireland were shifted to the Aviva moniker in 2010. Though the company maintains Delta Lloyd’s operations, the goal of the company is to re-brand insurance lines under the Aviva name going forward. Celebrities like Bruce Willis have helped the company gain greater brand recognition in the UK and Europe. Over the past few years, the company has worked to streamline its insurance operations. Folding new acquisitions into the Aviva holding company simplifies and strengthens the health insurance brand, according to company senior management. Aviva plc employs both a direct sales team and uses a global network of independent insurance brokers and agents. New brokers and agents may request the opportunity to sell Aviva health insurance products and services by submitting information through the company website. Agents and brokers in the United Kingdom deliver about one-third of the company’s sales. Spain, Ireland, Italy, the Netherlands, and France are also large health insurance markets for the company. Aviva has ventured into Eastern European health insurance markets, and has an approximately 8% share of the Russian marketplace. The company purchased some of insurer ING’s businesses there in 2009. The company has made recent strides to develop health insurance business lines in Turkey. Like many international insurance company competitors, Aviva plc wants to expand its base of health insurance business lines in Asian markets. In 2010, the company expanded China and India operations and used joint-venture relationships as a cost-efficient way to tap these competitive markets. Aviva plc also returned to Singapore after a five-year absence from that marketplace. Aviva plc does not sell health insurance products and services in the United States. The company sells and services life insurance and annuity programs here. In Canada, Aviva plc sells only property & casualty insurance lines. According to the company website, Aviva plans to expand its insurance lines in North America. Aviva owns a U.S.-based investment manager, River Road Asset, purchased for about £83 million in 2010. Aviva plc reports that it lost capital during the 2008 to 2010 global economic downturn. The company downsized as a result, selling Australian health insurance and wealth management businesses (e.g. Navigator) in 2009 to National Australia Bank. The company raised about $825 million in the sale. The company generated about $90.3 billion in fiscal 2010 sales, and reported a negative 4% annual sales growth (2010 vs. 2009). Aviva plc reported net income of $2.26 billion in net income in 2010 and achieved annual net income growth of about 30.96%. The company’s global market value is about $11.1 billion. Aviva plc claims total financial assets of about $572.5 billion. Everyone wants to save on the rising costs of health insurance rates. One of the best ways to manage your health insurance rates includes regular comparison-shopping. Request health insurance quotes now by entering your zip code!